South Korea’s securities firms saw their local branch network shrink by 40.3 percent in the past seven years until June this year, with the arrival of mobile trading infrastructure here, data showed Wednesday. 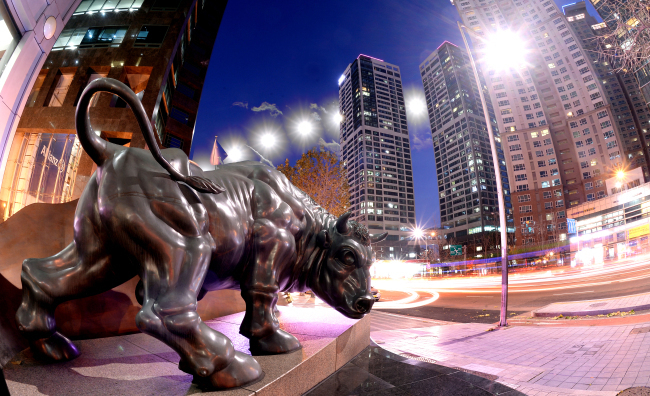 According to the Korea Financial Investment Association, the number of brick-and-mortar branches of 56 securities firms that locate at least one business unit in Korea came to 1,116 as of end-June, indicating that 756 branches in Korea have been removed since June 2011. By brokerages, Hana Financial Investment removed 13 offline branches between June 2017 and June this year, while Mirae Asset Daewoo decreased its number of branches by 10. This came in contrast to Shinhan Financial Investment, which added seven branches. Mirae Asset Daewoo, the largest brokerage by owned capital, had the biggest number of branches at 160, followed by KB Securities and Shinhan Financial Investment with 119 and 117 branches, respectively. In line with the shrinking branch network, the use of mobile trading systems has significantly increased. According to the Korea Exchange’s latest data, stock trades through mobile devices like smartphones or personal digital assistants accounted for 17.7 percent and 34.5 percent of the entire trade volume on the top-tier Kospi and the second-tier Kosdaq respectively in the first half of 2017. The figures increased from those of 2011, at 4.9 percent and 9.3 percent, respectively.